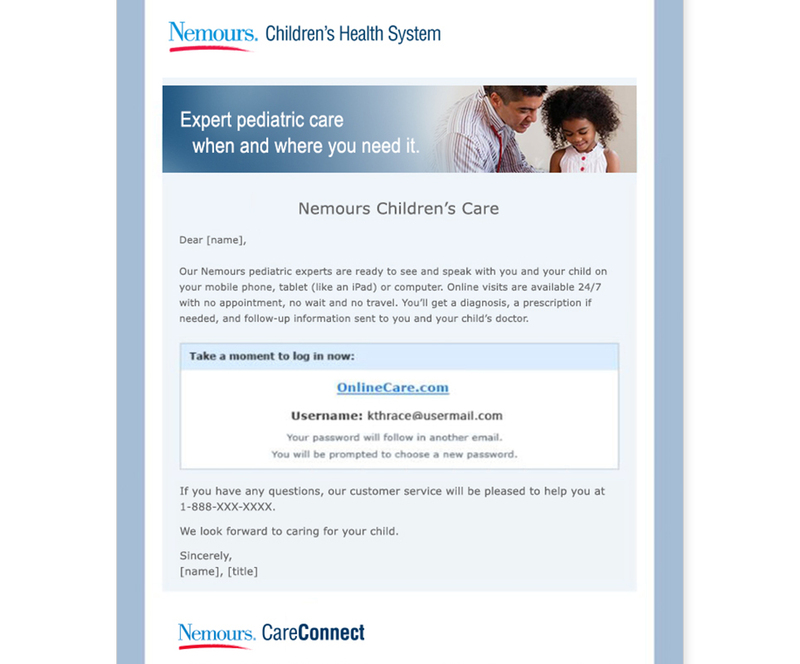 Nemours teamed up with American Well to provide live on-demand video service, allowing families to visit with Nemours board-certified pediatrician. 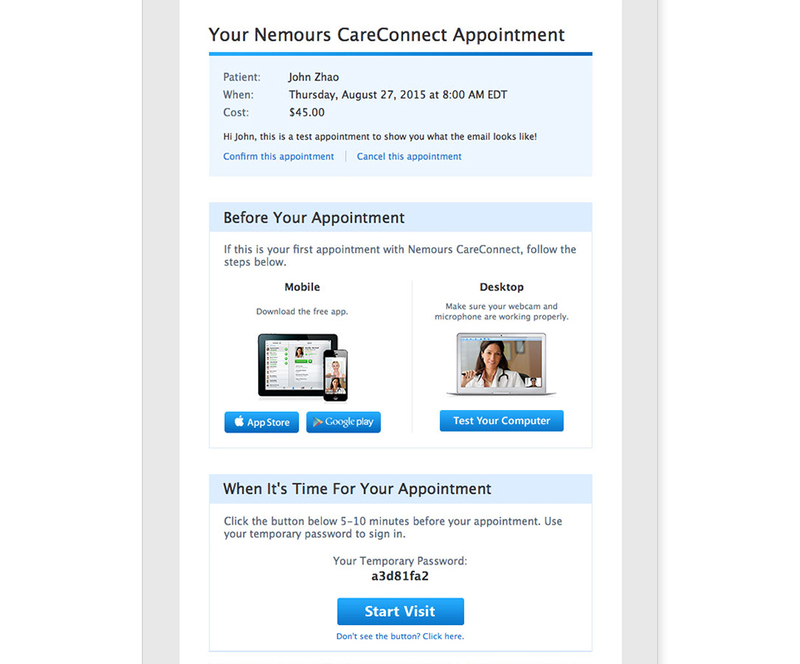 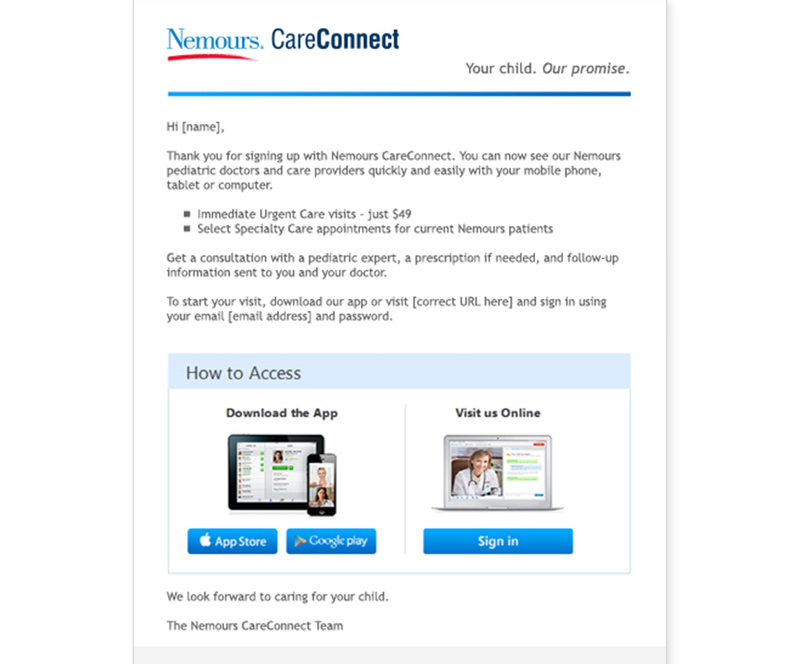 The service, available for desktop, mobile and tablet devices, allows families to interact with Nemours for a range of urgent issues. 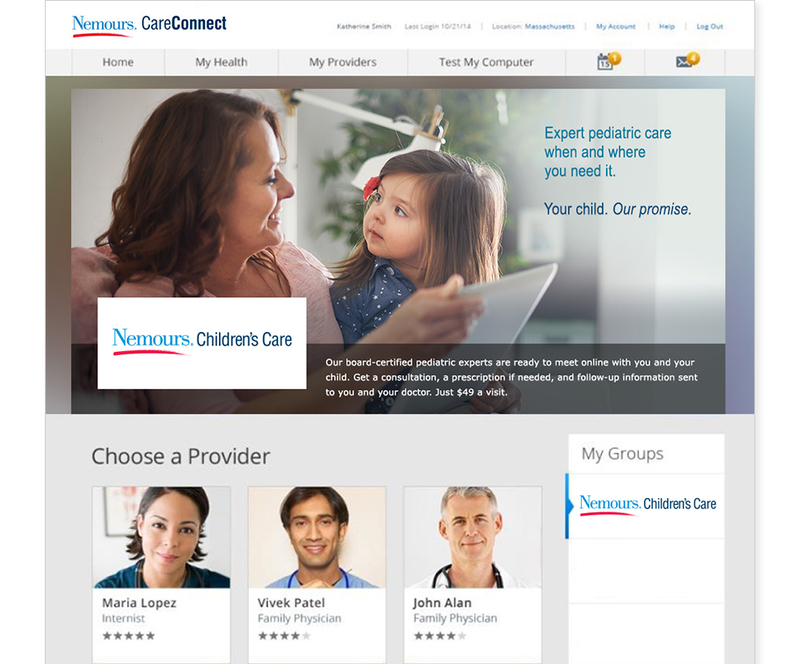 To create a seamless user experience, branded guidelines, graphics and imagery were created for the desktop site, mobile/tablet app as well as email communications.